The bulldog isn't just another dog. It does require special care and considerations but will reward the owner infinitely! We read about and studied the breed for over 5 years before getting our first bulldog - and we are still learning new things. Part of owning this breed is the willingness to research and ask questions in order to properly care for it. We've listed some of our favorite resources (and books). Please feel free to email us if you know of more to add! 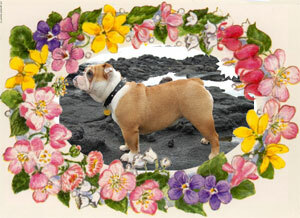 Go towards the bottom of the page to see their extensive list of bulldog information. It'll keep you reading for weeks! A great resource for all things bulldog. The official website of the national bulldog club. The organization regulating AKC registration. Full of general dog owner information. Know of any other great sites? Please share & let us know!